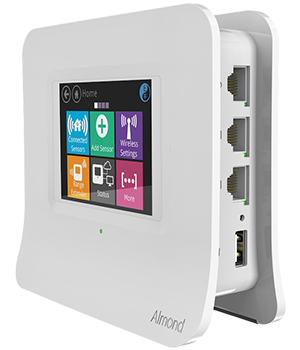 Introducing the new Almond 3 Smart Home Wi-Fi System. Makes every room in the house worth visiting. Wi-Fi everywhere you want it. And we mean everywhere. 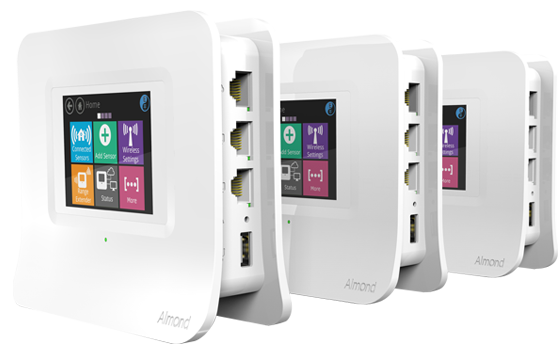 Meet the Almond 3, our latest innovation that easily and quickly establishes a single, secure Home Wi-Fi System in minutes. To create a Home Wi-Fi Network, simply setup two or more Almond 3 units. It’s easy with our innovative easy touchscreen access and Wizard. One of the things that impressed me about the Almond 3 was the ability to program in Wi-Fi triggers that uses the Wi-Fi in your connected devices to sense your presence. 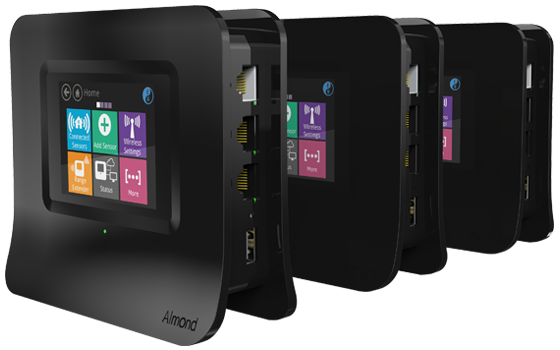 The Almond 3 is a more than just a router. It is a centralized hub capable of managing a wide variety of devices thanks to its built-in Zigbee radio and support for Z-Wave and Bluetooth. 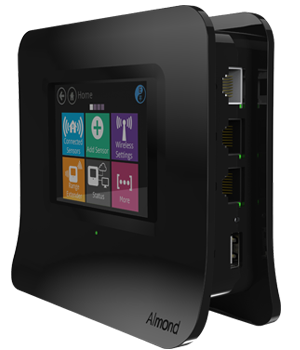 I suppose all routers are smart by definition, but the Almond 3, Securifi’s third-gen wireless AC router, takes things to a new level. Securifi’s Almond 3 is a router and smart home hub in a nifty single box. Different homes, different Wi-Fi needs. One easy solution. How a family’s yells can make it through any wall is an accepted fact. Wi-Fi signals on the other hand can struggle traveling from room to room. Sometimes concrete, glass and chicken wire (found inside historic home walls) diffuses or outright blocks a Wi-Fi signal. Other times it’s the layout of a home that makes it difficult to get a signal everywhere. This is exactly why we created the best Smart Home Wi-Fi System. The Almond 3 gives you not only what you want, but what you need: reliable Wi-Fi covering your entire home, no matter what you live in. One Almond 3 should do the trick for up to 1,300 square feet. Two Almond 3 units will give you the coverage you need on both floors up to 2,600 square feet. For homes larger than 2,600 sq.ft, start with three Almond 3 units. Add additional units depending on the size and layout of your home. One Almond 3 is all you need unless you have a luxury yacht. 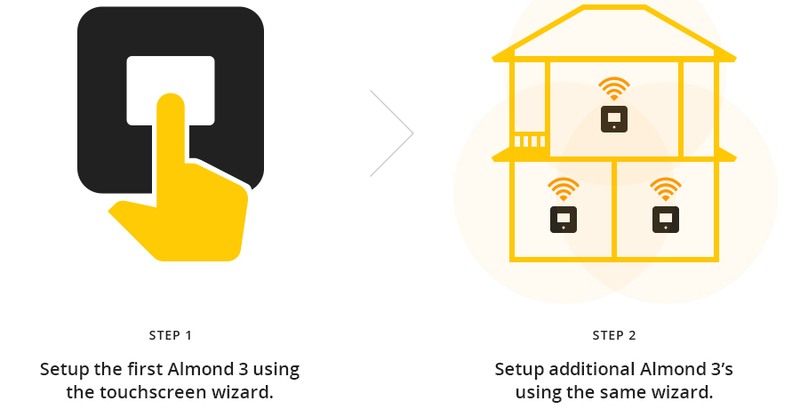 To create a Home Wi-Fi network, setup two to three Almond 3 around your home. After the easy setup, the Almonds communicate with each other wirelessly or through Ethernet, if your home is already wired. Together they form a single Wi-Fi network across your whole home. So no more dead zones. No more annoying buffering. Just ultra-fast Wi-Fi in every room. Easy Wi-Fi setup. Tough security. With Almond, you get both. 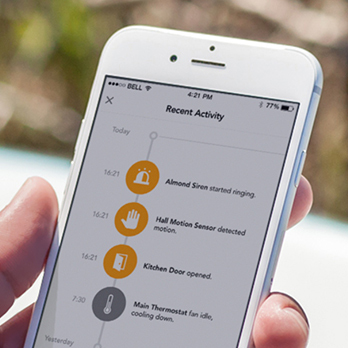 With the free Almond app, it’s easy to monitor your Home Wi-Fi Network. Receive instant notifications whenever any new device (phone, tablet or laptop) joins your network. Don’t want someone on your network or don’t recognize the device? Deny access with a swipe on your phone. Away on vacation or at work? No problem because you can always see what’s happening in real time. Want to keep your kids off their screens after their bedtime? Maybe limit their video gaming on school nights or on sunny days? Done and done. Almond automatically updates the latest security measures and software so it is always getting better without taking up any of your time. 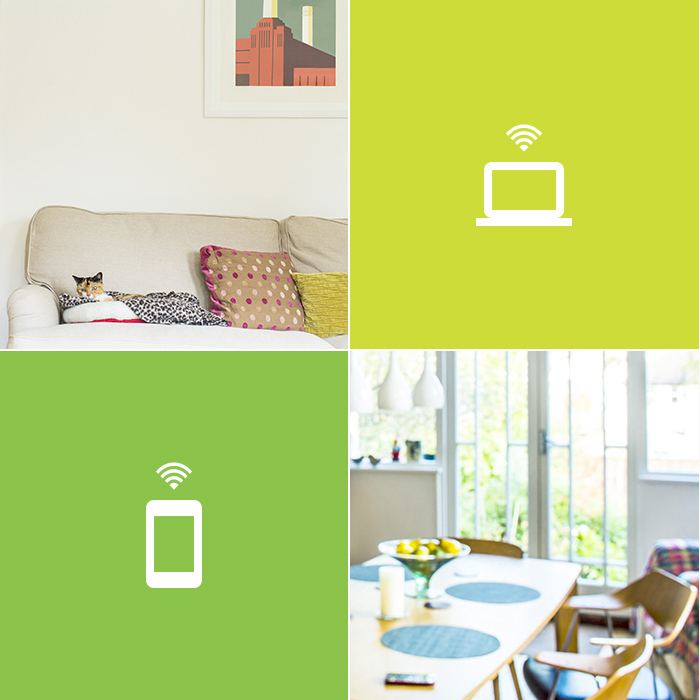 Almond wirelessly communicates with countless smart devices throughout your home. Simply pair a smart device with Almond 3 to control it with the free Almond app. Hundreds of smart devices are already Almond 3 compatible. The Almond 3 makes it easy to set up a simple home alert system with a variety of door, window, motion, flood and even vibration sensors. 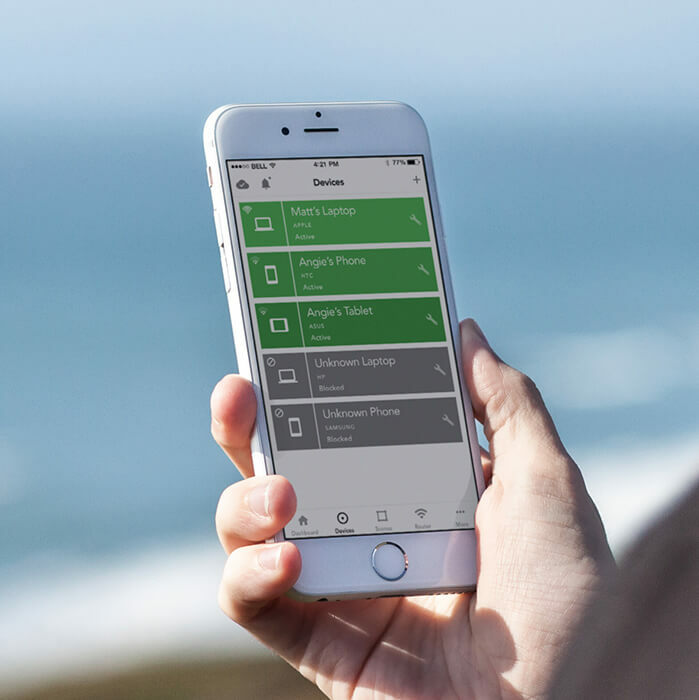 You can control connected sensors with the free Almond app and monitor them with push notifications to your phone. You can also enable auto arm and disarm modes right from the app. 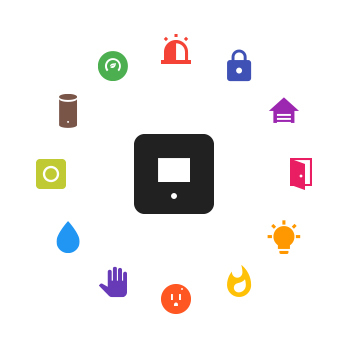 Almond 3 is friends with all kinds of Smart Home devices like lights, thermostats, locks, door sensors and communicates wirelessly with them. 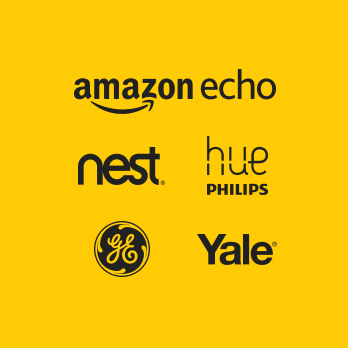 We built an open smart home platform to allow many of your favorite smart home brands like Amazon Echo, Nest, Philips Hue, Yale and others to join in. Find more information at our official site. 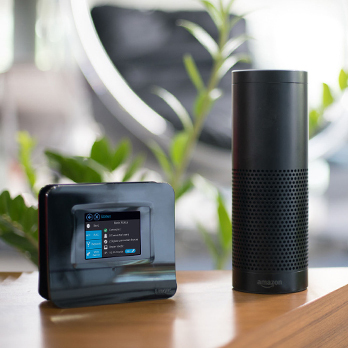 Control your smart devices with voice commands through the Amazon Echo. The Almond 3 pairs with Echo so you can control Home/Away modes and Scenes you’ve created. For example “Alexa, tell Almond to activate Movie Scene.” or “Alexa, tell Almond to set Home mode”. The Almond 3: Less setup time. Less headaches. And for a limited time, less cash. Due to high demand, this product is out of stock. We expect to be shipping again soon. Due to high demand, Almond 3 (Black) is out of stock; Will be available soon.